Here’s another one from the archives (read: we’ve run out of new videos to post again!). 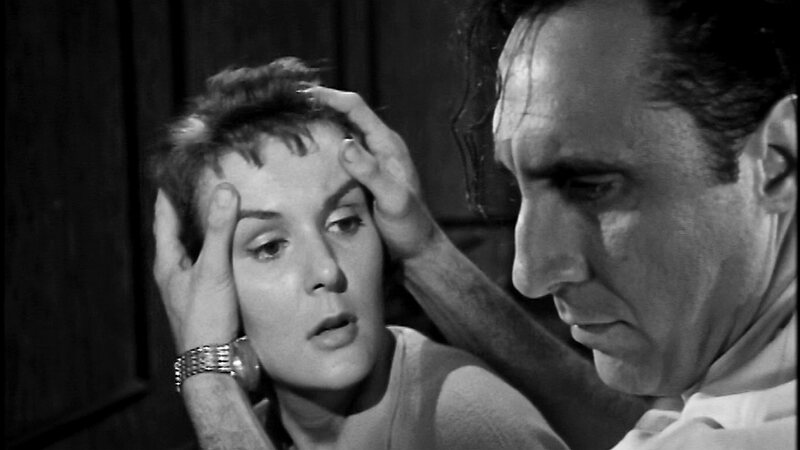 It’s the trailer for Walter Doniger‘s Unwed Mother (1958), the cautionary drive-in tale of a naive gal (Norma Moore) done wrong. 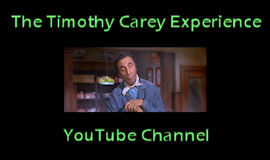 Timothy appears as the grouchy back-alley abortionist about halfway through. 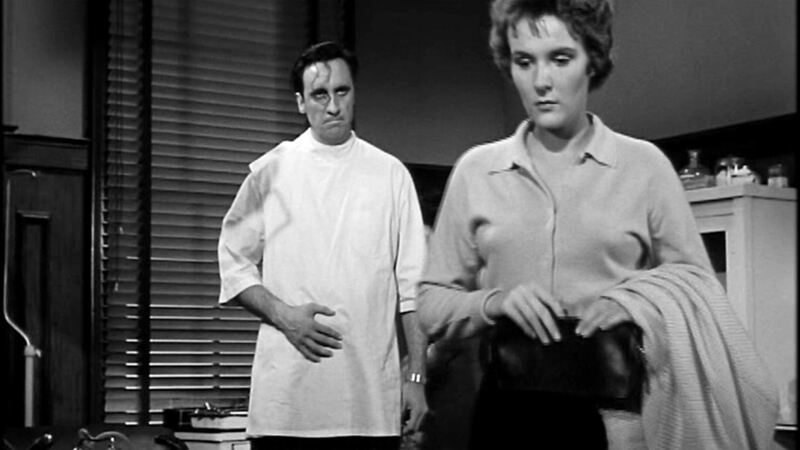 Also appearing is Robert Vaughn as the impregnating cad. Girls, let this be a warning – to you. To mark the birthday anniversary of the late great Darren McGavin, today we take another look at “The Deadly Quest Affair,” the episode of The Man from U.N.C.L.E. that first aired just in time for Halloween on October 30, 1967. McGavin is exotic villain Viktor Karmak, complete with pet leopard. 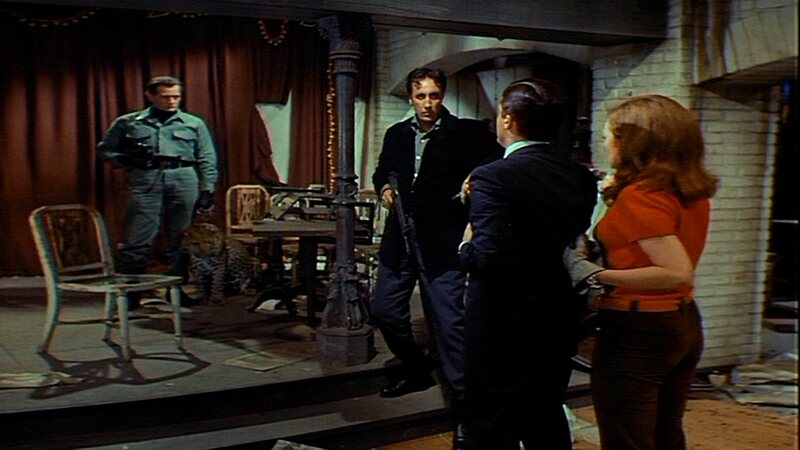 Timothy, as Karmak’s torpedo Stefan, is divesting Robert Vaughn and Marlyn Mason of weapons or anything else that would give them an unfair advantage as the plot unfolds. Tim appeared with McGavin again the following year in the first episode of the series The Outsider, “For Members Only,” which I’m still working on finding a copy of. McGavin certainly ruled a big part of my teen years as Kolchak: The Night Stalker in the mid-1970s. He passed away in 2006 and is greatly missed. Our video for this week is another full-length television episode, although unfortunately it will cost you $1.99 to check it out. Timothy, of course, makes it worth it if you’re feeling reckless. It’s “The Deadly Quest Affair,” from the groovy spy series The Man From U.N.C.L.E. It first hit TV screens on October 30, 1967. It’s basically another boss’ torpedo role for Tim, but this time he kind of redeems himself in the end (you can count that as a spoiler alert, or not). In his autobiography, Robert Vaughn mentions Tim’s role in Unwed Mother (1958) and some rather unusual ideas he had for same (see this post), then says, “…I heard very little about or from him since then.” Guess he forgot about this, huh?